The Cricket World Cup Trophy is visiting Beamish, The Living Museum of the North during a celebration of the game’s heritage. Visitors will have the chance to see the trophy when it stops off at the museum on the morning of Monday, 8th April, as part of a tour of England and Wales ahead of this summer’s Cricket World Cup. The trophy will be visiting the museum’s 1900s Pit Village from 9.30am to noon (please note, the rest of the museum and transport will be running from 10am as usual). Throughout the day, Beamish will be celebrating the region’s colliery cricket heritage, including cricket activities and a chance to see cricket objects and photographs from its collection. The Cricket World Cup Trophy will be touring Durham from 6th to 8th April, including Durham Cricket, which is hosting three World Cup games this summer. Rhiannon Hiles, Beamish’s Deputy Director, said: “We are so excited about the Cricket World Cup Trophy coming to Beamish on its tour! 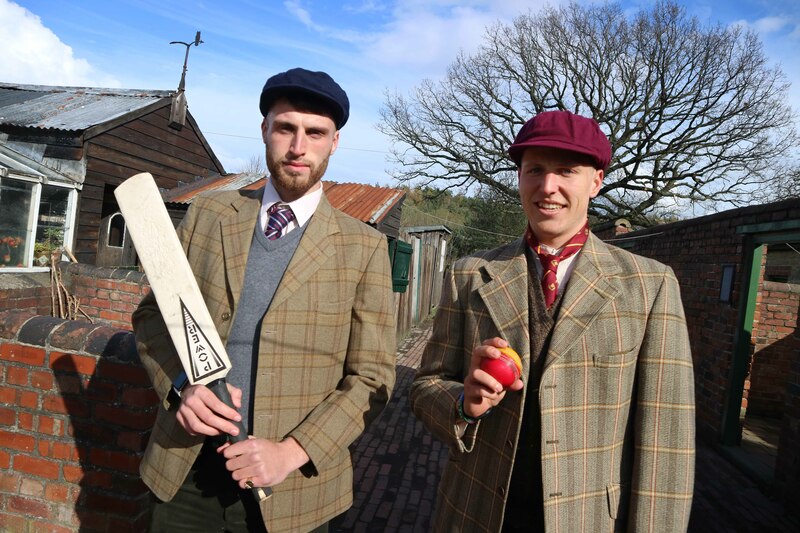 “We have been representing the social history of cricket in the region for some years now at the museum and have annual matches at the museum which are always popular. “Many of the region’s pits had their own cricket clubs funded by the miners and many colliery villages had dedicated miners’ welfare land for community use to play games on. “Cricket was a part of many people’s lives and still is, with those plots of land still being used today across the region for the game of cricket. The museum and Durham Cricket have teamed up to work with local schools to explore the history of cricket and take part in themed activities. Pupils and their families are visiting Beamish as part of the project. Beamish’s collection includes cricket bats and kit, as well as photographs of North East teams. The museum hosts a Colliery Cricket Tournament each summer, with matches held on Sundays in late July and August (starting 21st July this year). The ICC Cricket World Cup Trophy will visit Raby Castle on 6th April and Durham city centre, including Durham Cathedral, on 7th April. After visiting Beamish on the morning of 8th April, the trophy will leave the museum at 12pm and spend the afternoon at Durham Cricket’s ground in Chester-le-Street. Durham Cricket is hosting three World Cup games at its Emirates Riverside ground – South Africa v Sri Lanka on 28th June, Sri Lanka v West Indies on 1st July and England v New Zealand on 3rd July. The trophy will be lifted by the ICC Men’s Cricket World Cup winners at Lord’s cricket ground on 14th July. The Cricket World Cup Trophy Tour event marks the start of Beamish’s Easter holiday activities. The Great North Steam Fair, from 11th to 14th April, will see an amazing array of steam and road vehicles in action around the museum. Easter Fun at Beamish, from 19th to 22nd April, will feature egg-citing activities for all the family, including egg rolling and crafts. An Easter Egg trail will be running from 6th to 22nd April. Beamish is open daily from 10am to 5pm (from 6th April). As with all daytime events, the Beamish Unlimited Pass and Friends of Beamish membership can be used for the Cricket World Cup Trophy Tour, Great North Steam Fair and Easter Fun at Beamish. Usual admission charges apply. Find out more about events at Beamish at www.beamish.org.uk/whats-on.